Now that it is officially spring, it is time to start thinking about your garden and outdoor spaces. Landscaping helps to enhance your homes curb appeal and make it truly unique. Natural stone landscaping elements can help you to create an outdoor oasis in your own yard. Below are a few stone landscaping elements that you can use to enhance your outdoor space. Consider adding one or all of these elements to your yard. A stone bench tucked into your garden makes for a relaxing place to take a seat. Unlike wooden benches, granite benches are durable and will last for centuries. Stone benches come in a wide variety of styles and can even be customized. Choose a sleek polished granite bench, a rustic natural rock face bench or a classically carved stone bench for your garden. Check out a few stone bench designs below. Give the birds of your garden a birdbath to splash around in. Unlike concrete, resin or plastic; natural stone birdbaths are designed to last for a long time even in cold climates. 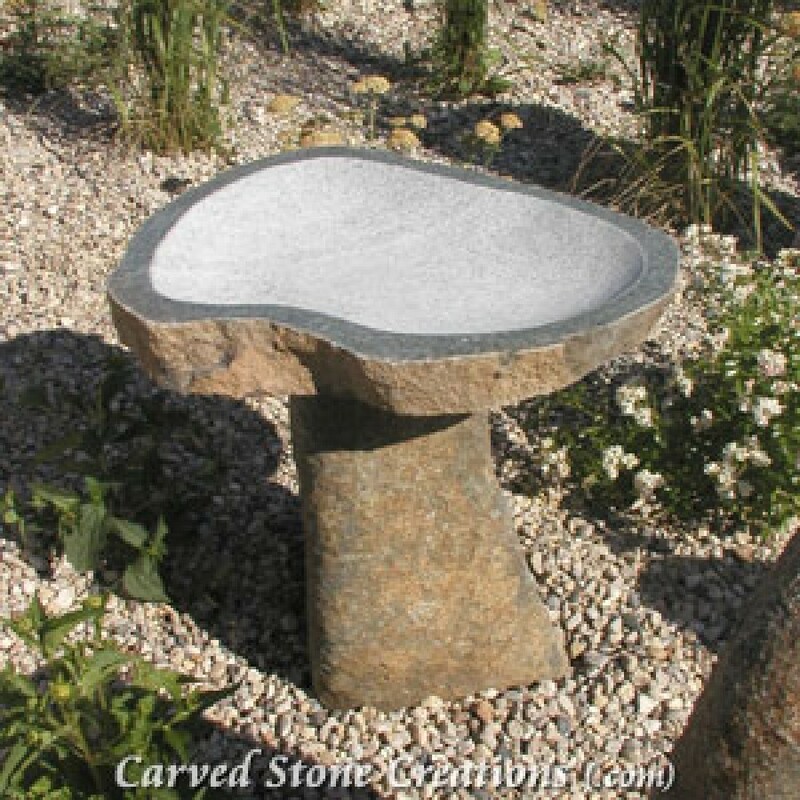 With a natural stone birdbath you can even leave it outdoors year round. 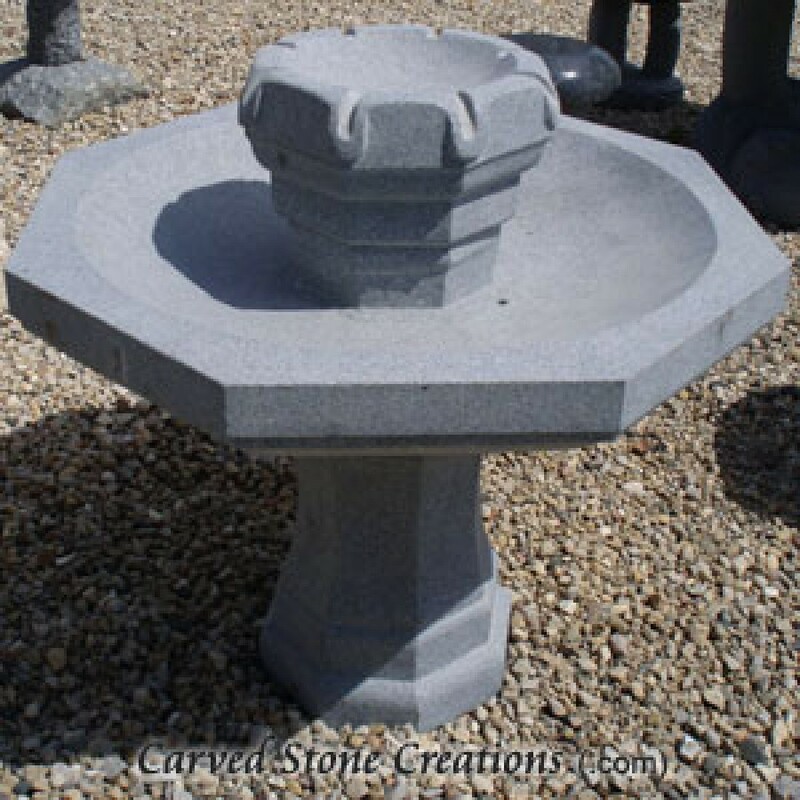 Birdbaths are available in a wide variety of designs, some which can be converted into small garden fountains. Check out a few below. Make an elegant and unique focal point in your garden with a natural stone gazebo. A gazebo is the perfect place to relax, eat or entertain. 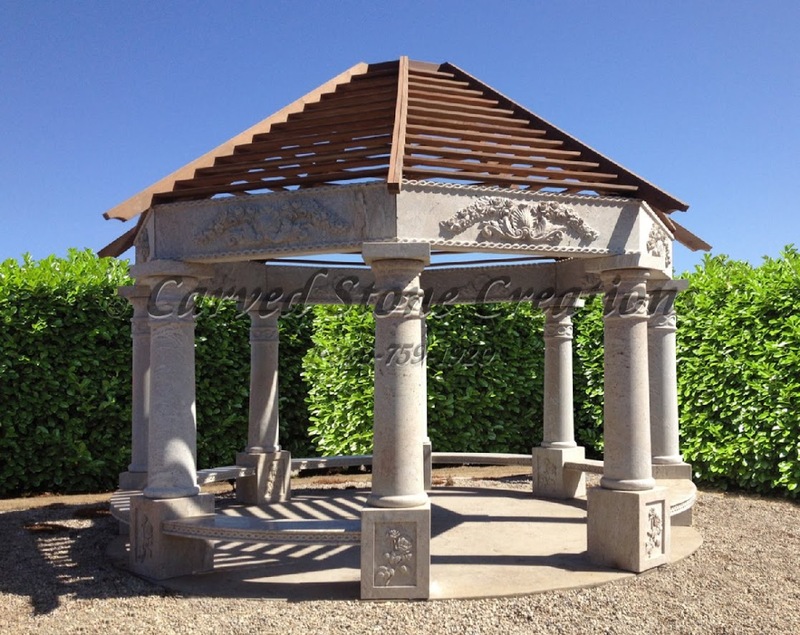 These hand-carved gazebos can be customized with various designs to make it unique to your landscape. 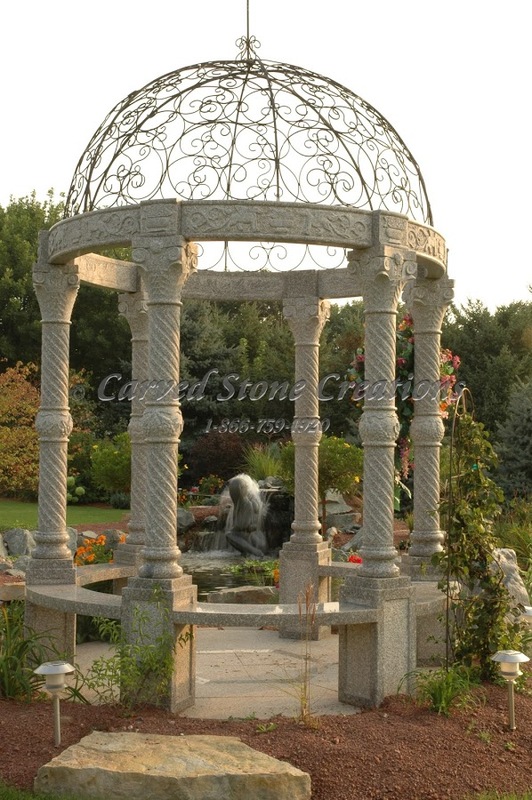 Each gazebo is also topped with a wrought iron or stainless steel dome to complete the design. View a few stone gazebo designs below. 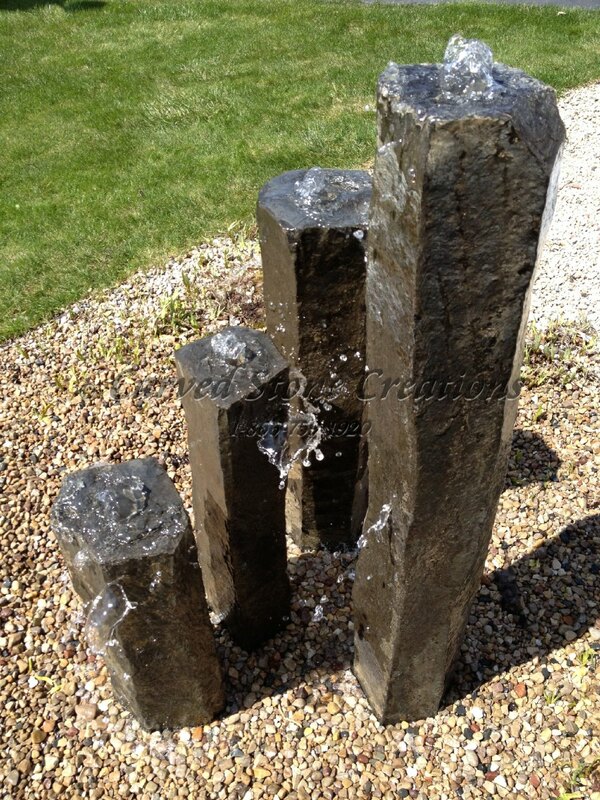 Stone fountains are the perfect touch to any landscape. The design options with fountains are endless, so there is sure to be a design that fits in your landscape. The sound of flowing water creates a relaxing oasis in your landscape. 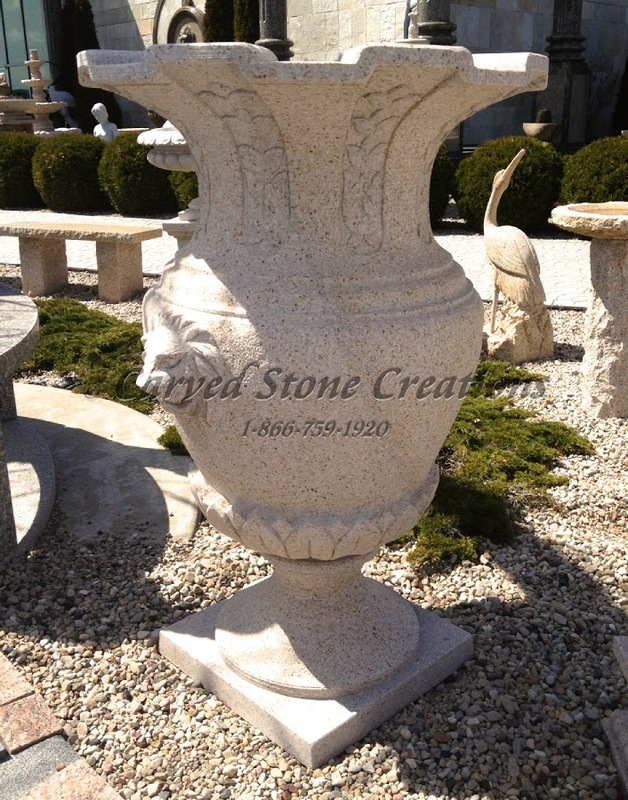 Stone fountains are completely customizable, below are a few designs to inspire you. 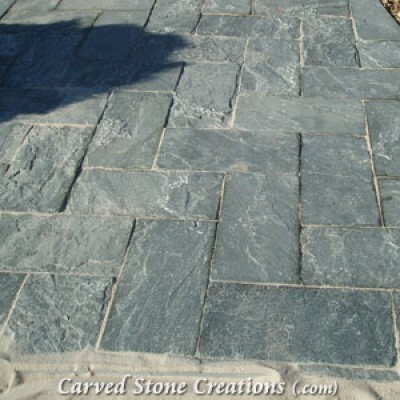 Stone pavers are a great way to finish off your driveway, patio, garden path or pool deck. The look of stone pavers is more unique than concrete or asphalt. Pavers are great when you want a custom, elegant look. 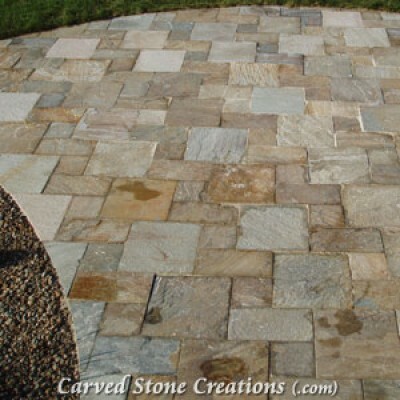 Stone pavers are available in a wide variety of colors and sizes that are sure to fit your needs. Below are a few paver styles. A natural stone planter is perfect for smaller trees and shrubs or larger flower arrangements. The durability of natural stone ensures that these planters will last for many years unlike traditional terra cotta, plastic and concrete planters. The beauty of natural stone will add an elegant look to your landscape. Below are a few planter designs. If you have a water feature in your landscape, consider adding a stone bridge. Stone bridges can have stair treads, railings and decorative accents to make them truly unique. Unlike wooden bridges, stone bridges are designed to last a lifetime. 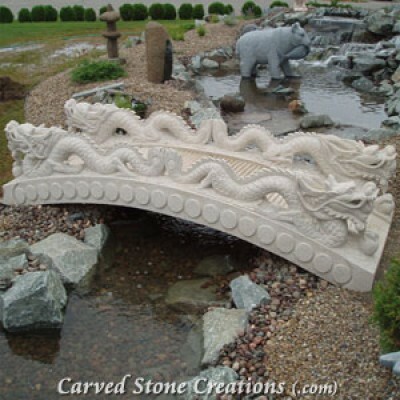 Check out a unique natural stone bridge design below featuring four Oriental dragons. 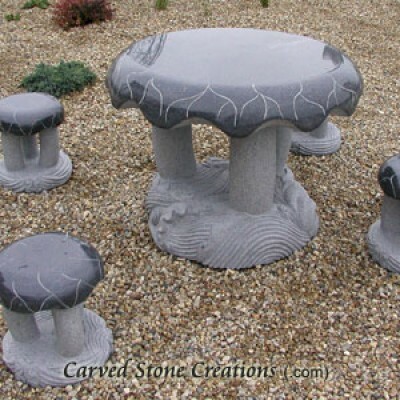 A stone table is a whimsical touch to a garden landscape. Consider adding a natural stone table and stools set to your landscape. Check out a stone table design below. Consider adding some of these elements to your landscape to create a truly unique backyard oasis. Please contact us for more information on stone landscaping elements.